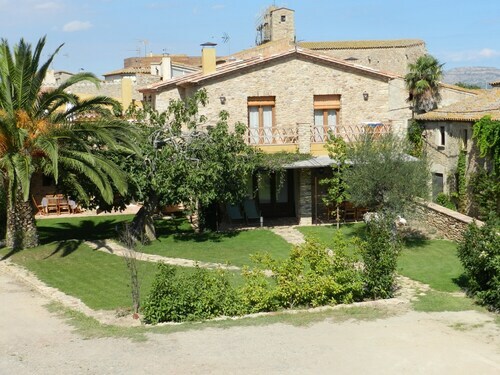 Situated in Palau-Sator, this guesthouse is within 3 mi (5 km) of Torre de les Hores, Mas Oller, and Castle of Peratallada. Emporda Golf Club and Cork Museum are also within 6 mi (10 km). Situated in Palau-Sator, this hotel is within 3 mi (5 km) of Torre de les Hores, Mas Oller, and Castle of Peratallada. Emporda Golf Club and Cork Museum are also within 6 mi (10 km). 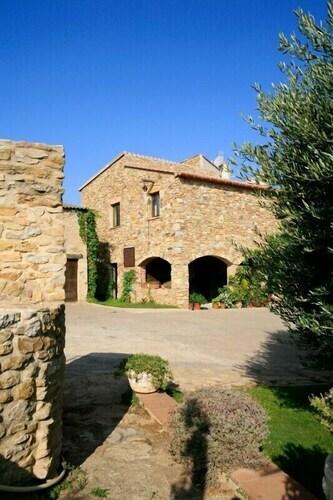 Situated in Palau-Sator, this cottage is within 3 mi (5 km) of Torre de les Hores, Mas Oller, and Castle of Peratallada. Emporda Golf Club and Cork Museum are also within 6 mi (10 km). BED 2 Pax, Relax, Beach, Nature, Cuisine, Sports, Tourism .. This family-friendly Palau-Sator property is located by the ocean, within 3 mi (5 km) of Torre de les Hores, Mas Oller and Castle of Peratallada. Emporda Golf Club and Cork Museum are also within 6 mi (10 km). How Much is a Hotel Room in Sant Feliu de Boada? 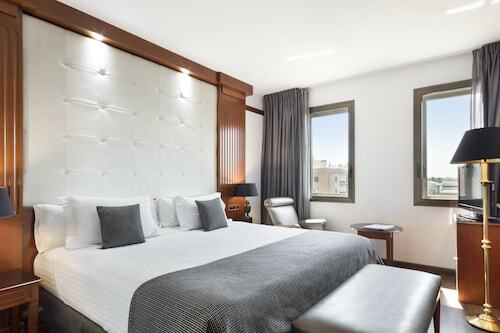 Hotels in Sant Feliu de Boada start at $65 per night. Prices and availability subject to change. Additional terms may apply. When it comes to deciding where to base yourself as you roam Sant Feliu de Boada, you will find a wide array of desirable possibilities. Right now, Travelocity features an impressive 62 accommodation options within a 6-mile (10-kilometer) radius of Sant Feliu de Boada's urban center. Clued-in global roamers who get the importance of finding a bed close to where the locals are can read about the Sant Feliu Hotel and Can Barrull, all of which are located inside a 0.6-mile (1-kilometer) radius of Sant Feliu de Boada's core. You should check out the Mas de Torrent Hotel & Spa as well as the Hostal de la Gavina. 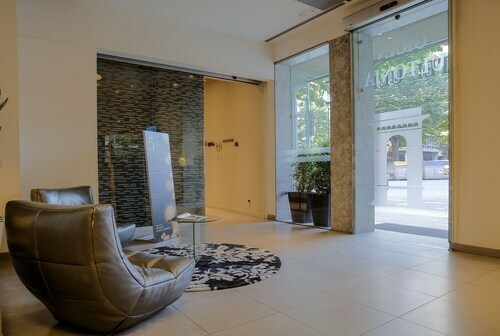 The Mas de Torrent Hotel & Spa is 1 mile (2 kilometers) outside of the city center of Sant Feliu de Boada. The Hostal de la Gavina, is only 13 miles (21 kilometers) away. Another option is to make a booking at the La Malcontenta or the Salles Hotel & Spa Cala Del Pi. After you and your traveling partner have looked around Sant Feliu de Boada, how about you explore a bit further afield? The Catalonia region boasts many attractions. Check out Catalonia's ruins and castles. Lovers of the great outdoors should make the time to admire its beaches. In this fascinating part of Spain adventurous visitors may try their hand at mountain biking, mountain climbing and hiking. Girona is 15 miles (24 kilometers) west of Sant Feliu de Boada and features Girona Cathedral and Arab Baths. Some Girona lodgings include the Hotel Nord 1901 and Hotel Museu Llegendes de Girona. 20 miles (33 kilometers) to the southwest of Sant Feliu de Boada, you will reach Old Town, which features the Hotel Tossa Mar and Premier Gran Hotel Reymar & Spa. Should you choose to stay in Old Town, set aside some time to explore the Parish Church of Sant Vicenc and Chapel of Our Lady of Socorro. Costa Brava Airport is a practical airport for arriving in Sant Feliu de Boada. It is 19 miles (31 kilometers) from the downtown precinct. For wise travelers who plan to find a Travelocity-listed base nearby, book a room at Meliá Golf Vichy Catalan or Salles Hotel Aeroport de Girona.